If a life-sized Lego car that actually drives and is powered by nothing but air doesn’t sound cool enough, consider this: The project was funded in part through a single tweet. The car runs on compressed air, is made up of more than 500,000 Legos and can cruise along at some 15 mph. It’s the brainchild of Raul Oaida, a 20-year-old Romanian who previously launched a Lego shuttle into space. Adda Birnir noticed a gender divide between a media company’s business and technical side (read: men) versus the editorial side (read: women). 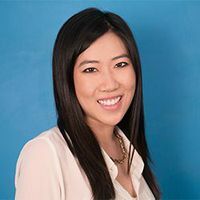 She created online tech education platform Skillcrush to give women a way to learn marketable skills that could lead to steady,high-paying jobs and relevant, satisfying work. The forecast, based on data gathered by United Nations organizations, governments, and nongovernment and science organizations in a partnership known as the “Solving the E-Waste Problem (StEP) Initiative,” predicts e-waste generation will swell by a third in the next five years, led by the United States and China. The StEP Initiative created a map of the world’s e-waste, which is available online. Until now, comprehensive data on global e-waste has been hard to come by, and countries define e-waste very differently. For example, the United States only includes consumer electronics such as TVs and computers, whereas European nations include everything that has a battery or power cord in the e-waste category. “This is why we have developed this e-waste map. It’s the first time we’re introducing really comparable data,” said Ruediger Kuehr of United Nations University, in Germany, and executive secretary of the StEP Initiative. “In addition, it gives magnitude to the issue on a national level, so policymakers are aware of the issue in order to take action,” Kuehr toldLiveScience. The interactive e-waste map shows data from 184 countries on the estimated amount of electrical and electronic equipment that hits the market and how much e-waste it ultimately generates. Having this data could helpgovernments and companies manage their e-waste. The world produced nearly 54 million tons (49 million metric tons) of used electrical and electronic products last year. That’s an average of about 43 lbs. (20 kg), or the weight of eight bricks, for each of the 7 billion people on Earth. The StEP Initiative forecasts that by 2017, the world will produce about 33% more e-waste, or 72 million tons (65 million metric tons). That amount weighs about 11 times as much as theGreat Pyramid of Giza. China currently leads the world in production of electrical and electronic equipment. In 2012, China produced about 12.2 million tons (11.1 million metric tons), followed by the U.S. with about 11 million tons (10 million metric tons). However, the United States eclipses China in e-waste generation, because more products previously put on the market in the U.S. are likely to be retired. In 2012, the U.S. produced about 10.4 million tons (9.4 million metric tons), versus China’s 8 million tons (7.3 million metric tons). The U.S. National Center for Electronics Recycling (NCER) and MIT have released a detailed report on U.S. generation, collection and export of used electronics in conjunction with the e-waste map. 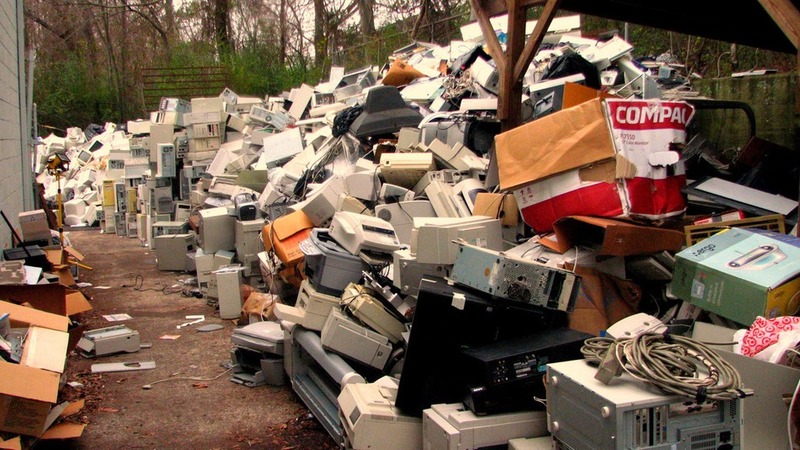 The U.S. generated about 258.2 million units of used computers, monitors, TVs and cellphones in 2010, 171.4 million of which were collected for recycling, and 14.4 million were exported, according to the report. The U.S. is a major exporter of used electronics. The U.S. exports more CRT (cathode ray tube) monitors by weight than any other product, and more cellphones than any other electronics product in terms of numbers. However, export numbers could be an underestimate, because exporters want to keep them quiet in order to bypass restrictions or bad press, said Jason Linnell, executive director of NCER. In terms of recycling, “We are a little bit behind compared with countries in the European Union,” Linnell told LiveScience. European countries have had established e-waste recyclingprograms for more than 10 years, whereas only 25 U.S. states have started similar programs, Linnell said. But recycling of e-waste is on the rise. “We’re seeing more recycling programs, and a lot of states are collecting 5 to 6 lbs. (2.3 to 2.7 kg) of e-waste per person per year,” he said. “It’s better than the past, but we we still have a ways to go,” Linnell said. I have been waiting for this since I was 10 years old! This blog is a repost from last May. Even when using Cascading Style Sheets (CSS), building a functional (but still attractive) website requires careful execution and planning. Here are a few tips that will make your website stand out. But your brand’s traffic is not the same as the Internet’s, and your audience or target market may have different behaviors than web users at large. Although trends can offer direction, measuring your own traffic by device can be a powerful metric in making both marketing and product decisions. Traffic by device will tell you if someone is visiting your website via a mobile browser (Safari, Chrome or other) and by device (Android, iPhone, iPad or other). Based on this information, you can discover other details such as the screen size and resolution. A few years ago, you may have created a separate mobile website optimized for a small smartphone screen — but now that tablets running both iOS and Android come in multiple sizes and some phones have larger (nearly tablet-sized) screens, it’s no longer enough to be dualistic. Most analytics services, whether it’s Google Analytics or even the back-end of a hosting service like Squarespace offer this metric. You may want to compare these numbers to your desktop traffic or to one another. Note which devices are leading in conversions and how it compares to your site overall, and learn where your mobile users are coming from. If an increasing percentage of your users are visiting your site via mobile, you will need to optimize your site itself for mobile. Of course, desktop still most likely accounts for the majority of traffic, even though the number is decreasing compared to mobile, so your website design should keep smartphones, tablets and desktop in mind. You can remove certain elements from a website when it appears on a small screen, but you won’t want to remove so many elements that it will compromise a user’s ability to navigate. “From a design perspective, a high degree of mobile or tablet traffic means you need to optimize your site for those platforms ASAP, if you haven’t already,” “From a design perspective, a high degree of mobile or tablet traffic means you need to optimize your site for those platforms ASAP, if you haven’t already,” says Jon Gibs, VP of analytics at Huge. When planning a marketing strategy, keep in mind that your marketing assets may be consumed via mobile. The Dove Real Beauty Sketches ad was three minutes, much longer than the usual 30-second spot, but that certainly didn’t hinder viewing. Unilever Brand Manager Kathryn Fokides says the Dove team analyzes how much of the video’s traffic came from mobile versus desktop. If a longer video is received well, specifically on mobile, it’s worth not only producing more similar assets, but also finding mobile-first ways to promote them, such as social media or retargeting consumers who watched and shared the Beauty Sketches with previews of next year’s fresh content. 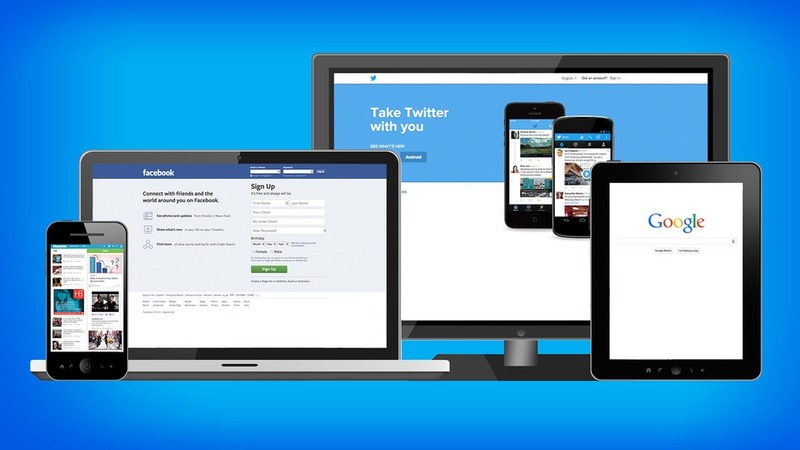 Media companies should be especially cognizant of traffic on various devices. Since ad inventory is often sold several months in advance, it’s crucial to forecast how much of your traffic will be on mobile six months from now, as is being aware of what ad products you can offer on specific devices. There are some really great ideas here! Plus, saves a lot of time to re blog somebody elses really great blog!